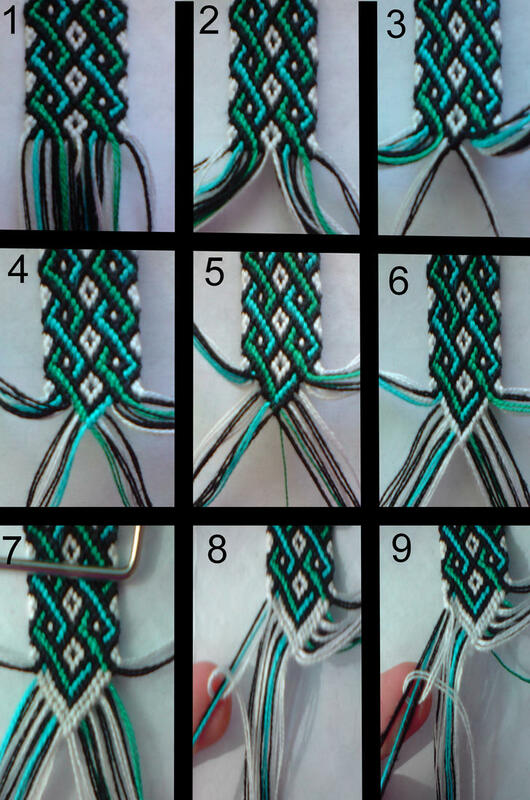 Simple Braided Friendship Bracelet -- A Tutorial In 5 Easy Steps For a blended-color look like the one in this bracelet, choose colors in the same hue. 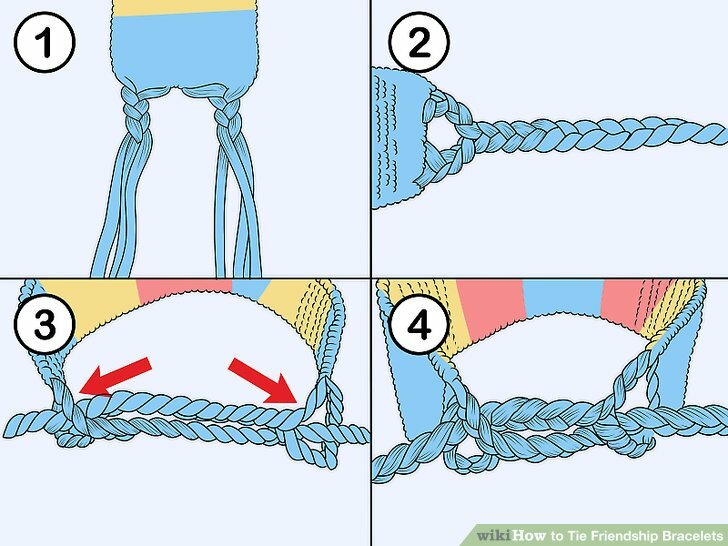 Step 2: Tie start knot. Gather all of your strings together and tie a knot at one end. Be sure to leave a few inches of string at the end. You'll use this to tie your bracelet on your wrist when you're finished. Slip a safety pin through... Homemade friendship bracelets are inexpensive Christmas gifts that children can make and give. Colorful friendship bracelets are made by tying patterns of knots in colorful thread. They are safe to wear for kids of all ages, and are a great way to introduce your kids to weaving, one of the earliest forms of jewelry making. Homemade friendship bracelets are inexpensive Christmas gifts that children can make and give. Colorful friendship bracelets are made by tying patterns of knots in colorful thread. They are safe to wear for kids of all ages, and are a great way to introduce your kids to weaving, one of the earliest forms of jewelry making. DIY Heart Friendship Bracelets – For this Friendship bracelet tutorial learn how to make DIY heart friendship bracelets. DIY bracelets that are quick, simple, easy and so cute. Great for beginners as you can follow the step by step instructions in the video tutorial. To make a cute heart bracelet the supplies you will need: embroidery floss, string or a thread and a cute button. Step 2:So what you do is take the to reds and make a forward knot then take the red that you just did a forward knot with and make a forward knot onto the orange then another forward knot with the red onto the yellow then make a forward knot with the red onto the rest of the colors. Step 2: Make the Starting Knot Line up the ends of your 7 strands of yarn, then tie a simple overhand knot like this. Make it so that there's about 1" (2cm) of loose ends poking out of the knot. These classic friendship bracelets are simple enough for young children to create! Friendship bracelets make great Valentine's and party favors.